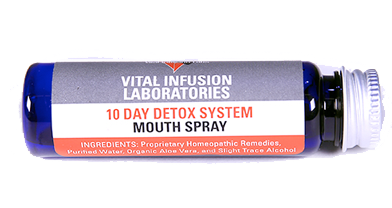 10 Day Detox is engineered to draw out and dispose of toxic particles, free radicals and waste products that have wedged themselves between the tissues. It is vital to remove this sludge from the body. They influence disease and an unhealthy environment from within. They can also cause weight gain, premature aging, create and or amplify pain, plus hamper the ability to breath deep or produce intestinal parasites. 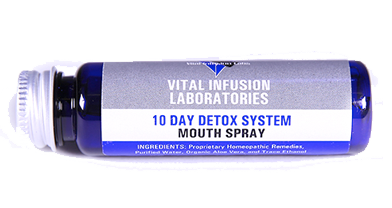 These toxic particles, free radicals and waste products bind or chelate to the herbal portion of the 10 Day Detox like a powerful magnet. Another herbal and homeopathic portion lends support and healing. They are now ready to be flushed out of the body. Please note: It is important to follow instructions exactly. Review them before you begin. Limit the ingestion of spicy foods. What comes in the Kit. Are engineered to draw out and dispose of toxic particles, free radicals and waste products that have wedged themselves between the tissues. It is vital to remove this sludge from the body. They influence disease and an unhealthy environment from within. They can also cause weight gain, premature aging, create and or amplify pain, plus hamper the ability to breath deep or produce intestinal parasite.